Prepare to be spellbound! 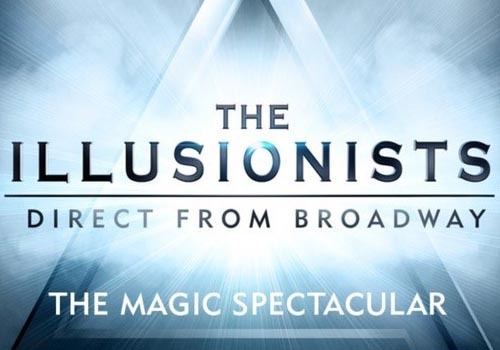 The biggest-selling magic spectacular, The Illusionists, heads to London’s Shaftesbury Theatre in summer 2019 for a brand new show. Direct from Broadway, the show features jaw-dropping magic and illusions including levitation, mind-reading, and disappearance. & Juliet is a brand new pop musical which sees Juliet become the leader of her own story -what if her famous ending was really just her beginning? The glorious new musical features pop songs by Max Martin, including '...Baby One More Time', and 'Love Me Like You Do'. The Shaftesbury Theatre box office is situated within the theatre building on Shaftesbury Avenue and is open Monday – Saturday from 10am – 7.45pm. Tickets arranged for collection can be picked up from the box office on the day of the performance during the hour before the show starts. Those collecting tickets will need to bring their booking reference number and the card on which they booked the tickets. Designed by prolific theatre architect Bertie Crewe, the Shaftesbury Theatre first opened in 1911 under the name of the New Prince’s Theatre, with a production of The Three Musketeers. In 1914, the building was renamed the Prince’s Theatre and housed several Gilbert and Sullivan operas. Early productions at the venue included a well-received production of Funny Face (1928), starring Fred and Adele Astaire, Diplomacy (1933), starring Basil Rathbone, The Rose of Persia (1935), the ballet Carmen (1949), Gentlemen Prefer Blondes (1962) and How to Succeed in Business Without Really Trying (1963-1964). In 1973, part of the theatre ceiling fell down, forcing early closure of musical Hair, which had been running at the venue since 1968. Following repairs, the theatre reopened with a production of West Side Story (1974), followed by They’re Playing Our Song (1980-1982), Follies (1987-1989) and Out of Order (1990). Subsequent productions included a series of musicals such as Kiss of the Spider Woman (1992-1993), starring Chita Rivera, Carousel (1993-1994), Eddie Izzard: Definite Article (1995), Tommy (1996-1997), Rent (1998) and Thoroughly Modern Millie (2003-2004), starring Amanda Holden and Maureen Lipman. Since then, a variety of shows have graced the Shaftesbury Theatre stage, including Bat Boy: The Musical (2004-2005), Fame: The Musical (2007), Hairspray: The Musical (2007-2010), starring Michael Ball, Burn the Floor (2010), Flashdance (2010-2011) and Derren Brown – Svengali (2011). Following this, the theatre became synonymous with hosting large-scale musicals, with revivals and premieres that included Rock of Ages (2011-2013), From Here to Eternity (2013-2014), The Pajama Game (2014-2015), Memphis (2014-2015), starring Beverley Knight and Matt Cardle, and The Illusionists (2015). Broadway import Motown: The Musical opened at the Shaftesbury Theatre in 2016 and will entertain audiences until April 2019, followed by a UK tour. International magic show The Illusionists will run for a limited summer season. 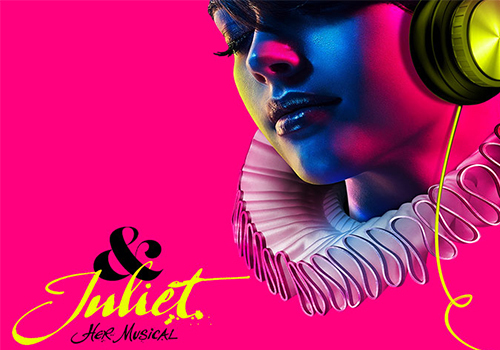 Autumn 2019 sees new pop musical & Juliet by Grammy Award-winning songwriter Max Martin take to the stage.